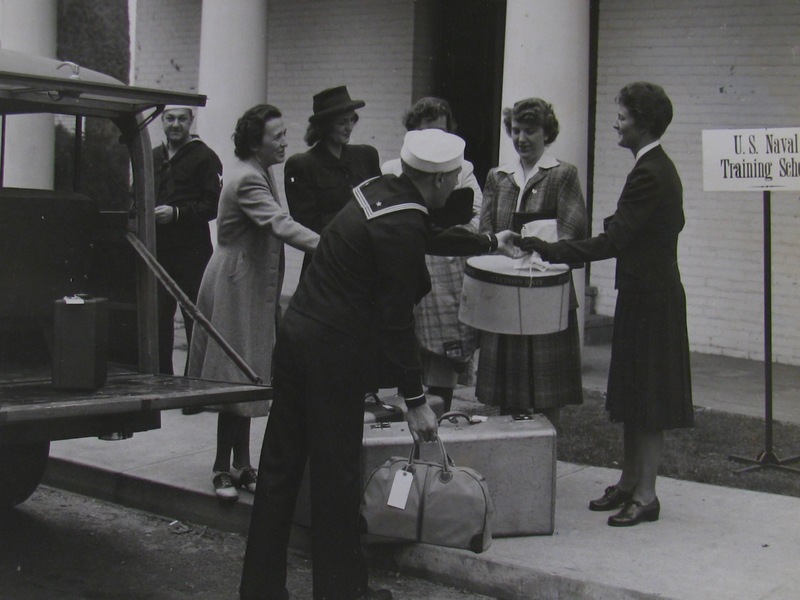 Women arrive at Smith College for their officer’s training. Only four of the women are identified in the photo: Billye Wilde, Bette Evans, Eleanor Rich and Frances Rich. The other woman (partially hidden behind the suitcases) and the two helpful sailors are not identified.